Having been in the hair loss field for over 25 years, I’ve witnessed a real evolution in terms of how willing we are to discuss our appearance, self-esteem, and confidence. While this applies to both sexes, the change in attitude has been particularly noticeable amongst men. Thanks to a rise in high-profile figures speaking out about their hair loss and taking steps to fix the issue, the notion of hair restoration is no longer a taboo subject and it’s become more acceptable for men to be openly concerned about their appearance. Of course, there’s still a way to go before we’re all completely comfortable to talk about hair loss, and this is partly due to the fact that we can often shy away from opening up about how our looks are affecting our confidence and day-to-day lives. In terms of procedures such as hair transplants, the perception can be that men, in particular, will turn to the experts after a bit of pub banter over their thinning hair gets too much to handle, or perhaps their partner nags them to investigate what can be done. In my experience, this is often untrue and it is actually the individual who simply wants to feel better about themselves and talk to someone who can offer real, objective advice. Our busy, modern lives can mean we are able to hide behind text messages and shield ourselves with keyboards, allowing conversations to be misinterpreted or avoided. However, there is absolutely no substitute for a face-to-face chat, especially when it comes to something as personal as how we feel about our appearance. Here at Farjo, the first thing we’ll do is book in an informal chat with our patient liaison team. It’s important to get to know a potential patient before any form of surgery is even discussed – we need to understand why a person is considering treatment, how long they’ve been suffering from hair loss and, most importantly, we need to know they’ve got in touch with us for the right reasons. Once we’ve started to forge a relationship with them, we’ll then introduce them to one of our surgeons, at which point they can discuss their options and agree the best route for them. Throughout the entire process, communication is key and we make sure that we maintain our relationship after surgery has taken place – email updates, tweets and instant messaging have their place but there really is no substitute for a good old-fashioned conversation. 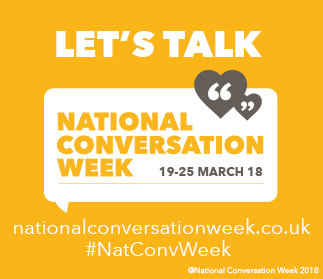 That’s why I’m supporting National Conversation Week, which encourages the country to talk face-to-face rather than relying on their keyboard – trust me, it really is good to talk!